We're not that bothered with mobile TV it seems. Instead we want GPS technology in our mobile phones, a new survey has shown. More than half (51 per cent) of Europeans said they were interested in mobile TV but only 29 per cent said they would tune in to watch live TV on their handset, research firm Canalys said. That leaves half of respondents not at all interested in mobile TV services, regardless of cost. Meanwhile, 62 per cent said having built-in sat-nav technology would be a 'welcome addition' to their mobile phones. 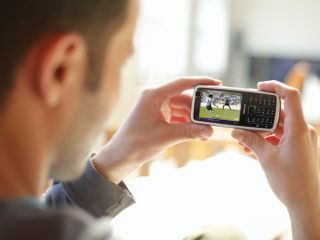 "Consumers are much more excited by the prospect of having GPS on their handsets than mobile TV," said Pete Cunningham, senior analyst at Canalys. "For advertising-supported services, the survey showed higher interest around vehicle and pedestrian navigation, mobile e-mail and instant messaging than for TV. It shouldn't come as a great surprise that mobile propositions with location or communication at their core resonate the strongest with consumers," Cunningham said. A quarter of those who were positive towards mobile TV said that TV content relevant to their personal interests or hobbies would be most of interest. Another quarter said they were keen to get access to the same channels as they had at home. "When asked what types of mobile TV programming they would be interested in, consumers' preferences are quite diverse, and there is unlikely to be one type of killer content," said Canalys analyst Adrian Drozd. "This suggests many different content partnerships and charging models may be required, which will add complexity for users and for the operators developing such services." Canalys' research also revealed that Apple is gaining popularity as a phone provider. Almost half of Apple iPod owners surveyed saying they would consider buying the Apple iPhone as their next handset. Nokia is still our favourite brand of mobile phone, the survey found. Eight-four per cent of survey respondents said they were more likely than not to consider buying a Nokia handset. This was followed by Sony Ericsson , Samsung and Motorola handsets. Some 2,000 employed, adult mobile phone users in France, Germany, Italy, Spain, and the UK were polled.